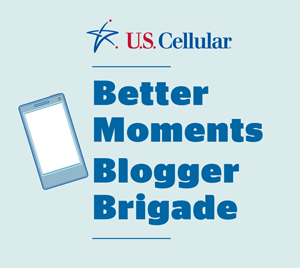 FTC disclaimer: This is a sponsored post from U.S. Cellular as I am part of their blogger brigade. All opinions are my own. Some of you may remember I attended a fitness week a few years ago where we learned about ways to be healthy and lose weight. On one of our first sessions, we discussed apps where we could use our phone to help us keep healthy. Usually you see a group of teenagers on their phones, but in that moment, a group of adults grabbed our smart phones and started downloading apps where we could scan items in the grocery store and see how they lined up health wise, count our calories, and track our fitness. Do you know I even used those very apps to help me decide what was the healthier option when eating out? I lost 18 pounds with the help of my Smart Phone. I'm not alone, because 34% of Smart Phone users have utilized apps to help them lose weight, and 66% have used apps to help track fitness and exercise. There are a myriad of ways that your smart phone can help you stay healthy. Unfortunately I've had to call 911 way too often when my mother was so sick, and that's probably the number one way most people think of when it comes to health with a phone, but there's so many more ways one can help you. One of the most amazing ways my smart phone helped us was during a blizzard, a utility line was down across our driveway. The power company didn't care and wouldn't check it even though I said my mother needed her dialysis treatment. They merely told me everyone was an emergency, even though dialysis is the matter between life and death. I posted on Facebook. Even without electric I was able to use my Smart Phone. Friends with power really picked up the ball. Someone even tweeted the governor. A friend of mine who writes for a newspaper was able to pull a few strings, and we had the line checked and were able to get out of the house so my mother could have her dialysis treatment. I was never so thankful for the U.S. Cellular 4G network as I was at that time. 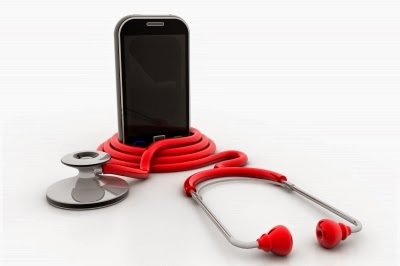 Another way that your phone can help you stay healthy is through telemedicine. The Pew Research has shown that 1 in 3 people have gone online to research a medical condition. Cell phones have made it easier than ever to contact physicians. While not meant to replace visiting the doctor, it can certainly be helpful for those who live in remote areas or have mobility problems. I know one of the benefits my mother had with her insurance was the ability to call a trained nurse 24 hours a day. How handy is that? It was certainly helpful to know when something needed to be something we were seriously concerned with or if it was a side effect from new medicines. Some doctors even provide telemedicine for things like colds which account for 25% of all doctor visits. Be sure and ask your primary care physician and insurance company about any relationships they have with telemedicine providers. They may be part of the Vitals or NCQA which provide even more information on this new frontier of keeping you healthy using your smart phone. One of my favorite ways to keep myself healthy using U.S. Cellular is with my pharmacy's app. I can scan the label on my meds using my iPad Air 2, the app will ask what pharmacy I want to pick my prescription up from, and in an hour, I can go through the drive through and hopefully avoid germs from others as I get sick pretty easily. Who knew that in addition to high resolution and nice screen size the iPad can help keep you from getting sick? wow you are really right on top of it! I know the CEO of Aetna is making apps and technology an integral piece, I can see how it truly has been for you. Your mom is blessed to have you. Really eye opening about some things you went through like with the power company yikes. It sounds like your mom has good insurance company.